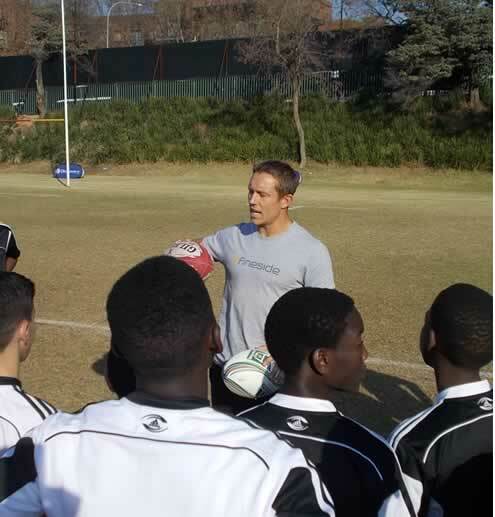 SOWETO.CO.ZA FACILITATES ATTENDANCE BY SOWETO SCHOOL BOYS AT THE “DISCOVERY VITALITY”/JONNY WILKINSON COACHING CLINIC. 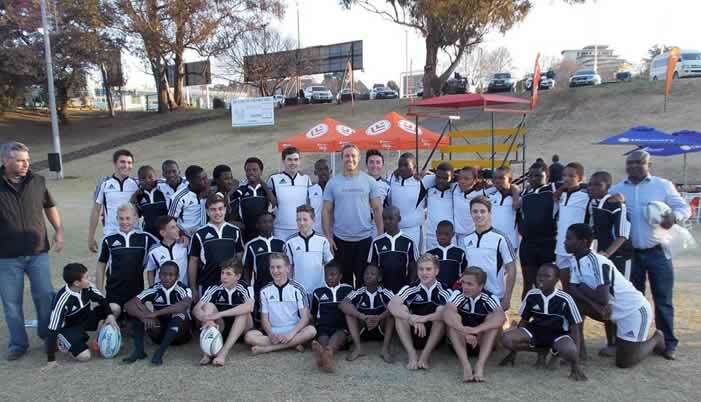 KDA Travel and Tours (Pty ) Ltd (www.soweto.co.za) facilitated the attendance of 20 under 15 rugby players of Jabulani Tech Secondary school in Soweto at the Jonny Wilkinson coaching clinic held at the Wanders Rugby club organized and sponsored by Discovery “VITALITY”. The event was also attended by members of the King David Victory Park rugby team and their coaches. Jonny Wilkinson has recently retired from professional rugby after a distinguished career playing for the British and Irish Lions, Newcastle Falcons, Toulon and England. He first represented England at fly-half at the age of 18. In spite of various injuries, including a dislocated left knee cap which sidelined him for 9 months, he holds the national record of 162 conversions. Jonny’s considerable experience, enthusiasm and skill greatly benefited the youngsters who attended the training clinic. www.soweto.co.za is committed to promoting the love of sport including soccer, rugby and netball amongst the youth of Soweto.